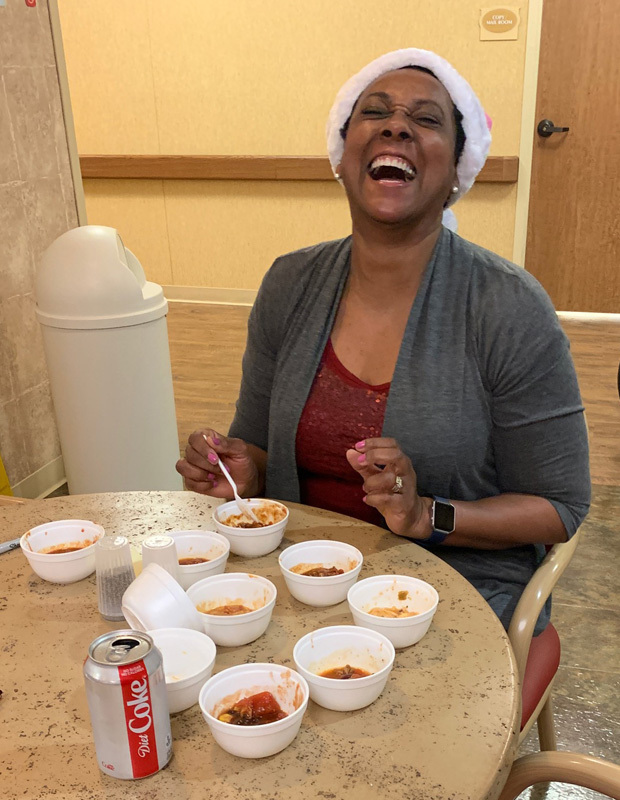 We had a yummy chili spread at our Chili Cook-Off for all to try and pick their favorite. The real winners were all the voting consumers since each chili was so delicious making it a hard decision. Some would say that it was ‘Chili Heaven’! However, Allison was our official big winner (with a little help from Ashley). Thank you to all the participants!